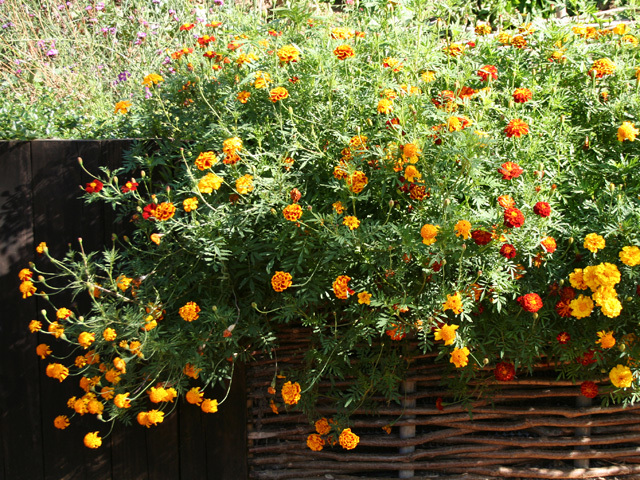 Gardens for growing food can also be beneficial to wildlife, especially if they are organic. 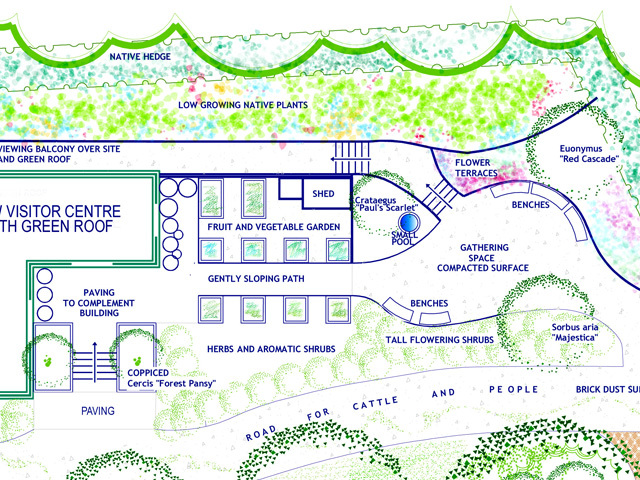 DesignWild were shortlisted to design a large food garden on the outskirts of Dublin. 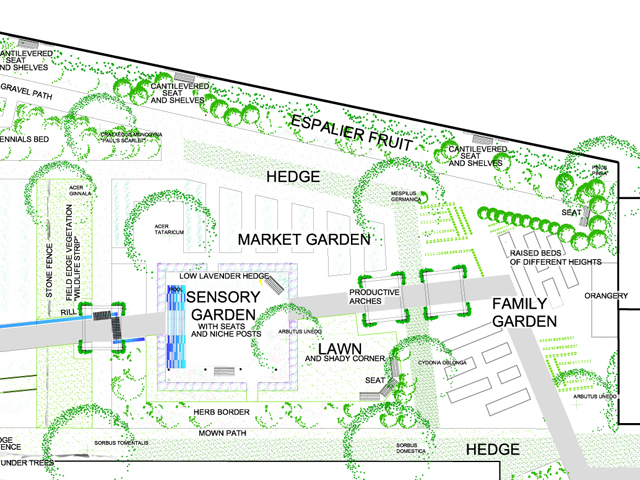 The garden aimed to reconnect people with both nature and food production and included fruit and vegetable areas to provide produce for the cafe and an education area and a large orchard and foraging area. Nuts and berries can be foraged and used in a range of recipes as well as providing winter food for birds. 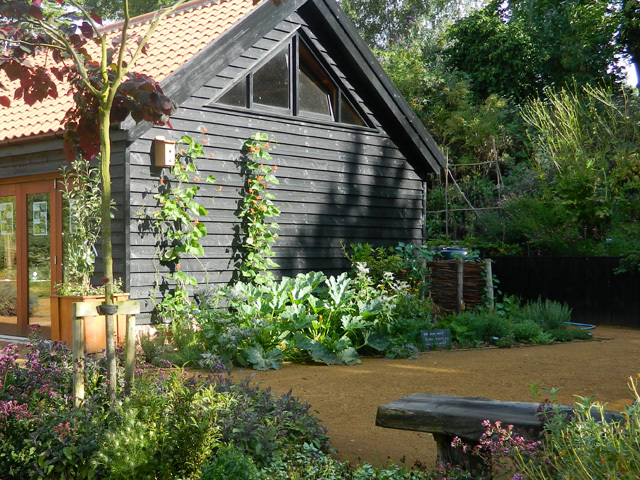 The RSPB garden includes fruit and vegetables and an orchard planted with traditional, local apple varieties and underplanted with meadow flowers and grasses for wildlife. 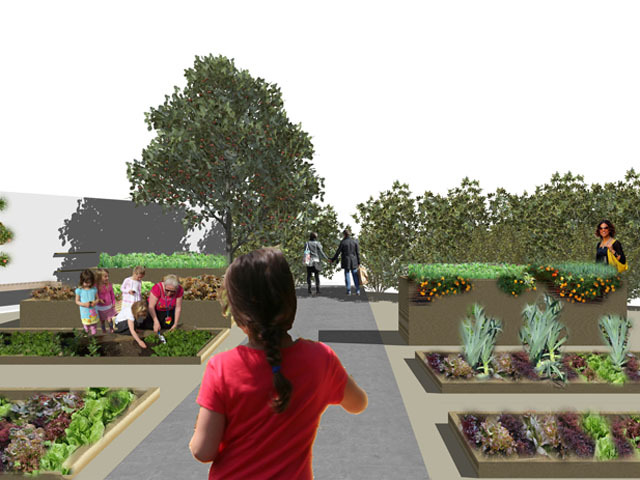 School groups and volunteers work in the food garden. 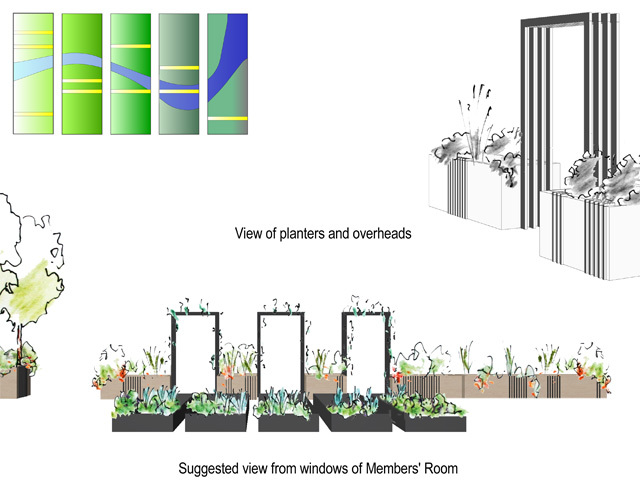 DesignWild's shortlisted proposal for a roof garden at the Tate Modern included large planters and unusual fruit and vegetables for the restaurant. Mouse melon and wineberries were just two of the suggested fruits. 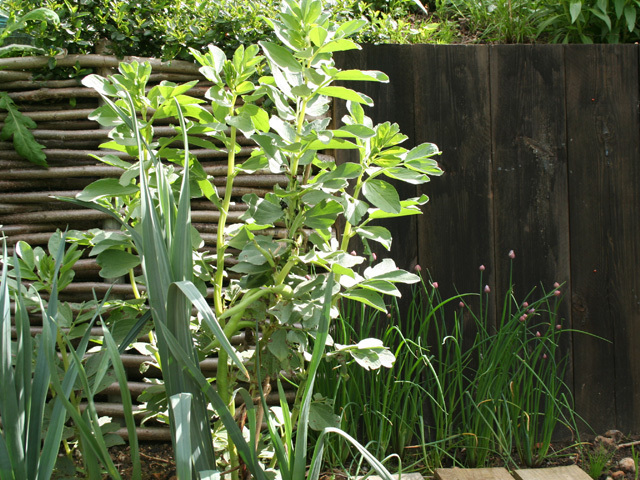 An 'edible hedge' became a partial windbreak providing hips and berries in the autumn which can be used in the kitchen.